I don’t always get fresh tomatoes, but when I do… yum. I don’t always get them because they’re not always in season; in Virginia the tomato season is from the second or third week in March until the first week of November. When I’m visiting my parents out by the coast, there’ll be people selling them in crates by the side of the road, and it’s not unusual for my mother to come home with six crates of tomatoes and a convoluted explanation for why this is a perfectly natural thing to do, even though it means the next few days are going to be devoted to canning. I live in Arlington, right outside D.C., so the only thing I can buy on the side of the road is a three-dollar t-shirt that says “FBI” on it. If I want tomatoes from farmers, I have to go to a farmer’s market, and pay an agonizing premium for them. I’ve encountered farmer’s markets where the individual tomatoes cost more than the t-shirts. When you have good, fresh ingredients, your goal is to prepare them correctly, simply, directly. But almost everywhere in the contiguous United States–even Minnesota–tomatoes are in season in late May and early June. So the next month is a rare gift, because you almost can’t buy a bad tomato unless you go out of your way to do it. 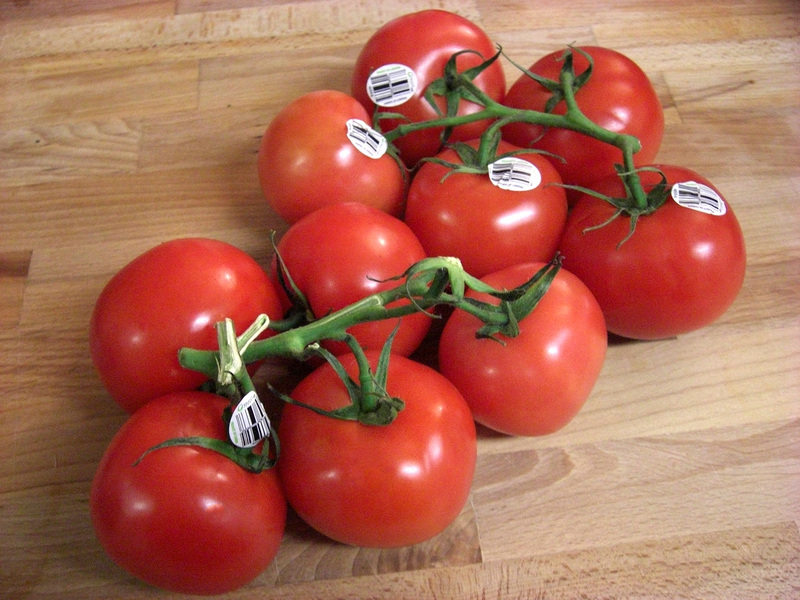 Even the supermarket will have good tomatoes, as long as you stick to naturally-ripened ones. 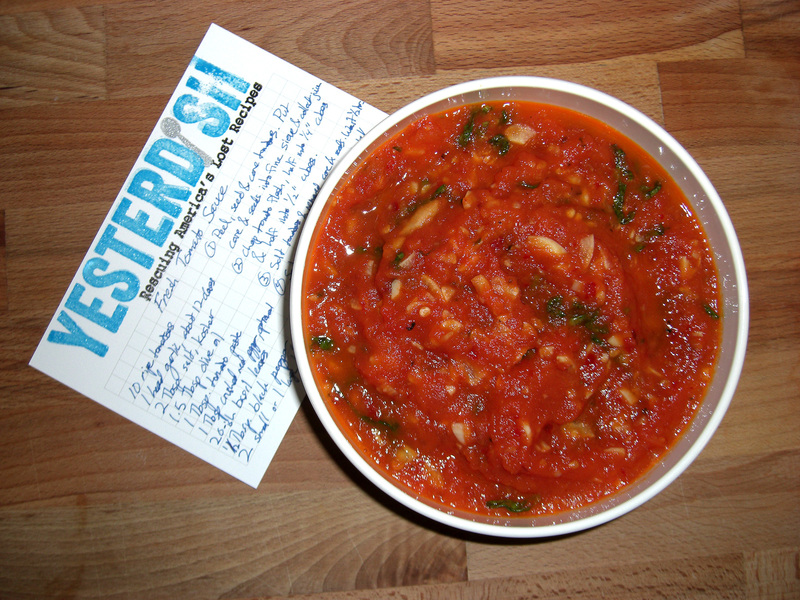 Don’t turn your nose up and say, “Oh, they shipped these tomatoes from New Jersey.” Guess what? It’s tomato season in New Jersey, too. And more generally on the topic of tomato snobbishness, there’s absolutely nothing wrong with canned tomatoes. In fact, they’re often the best tomatoes in the supermarket, because they’re always picked when ripe. 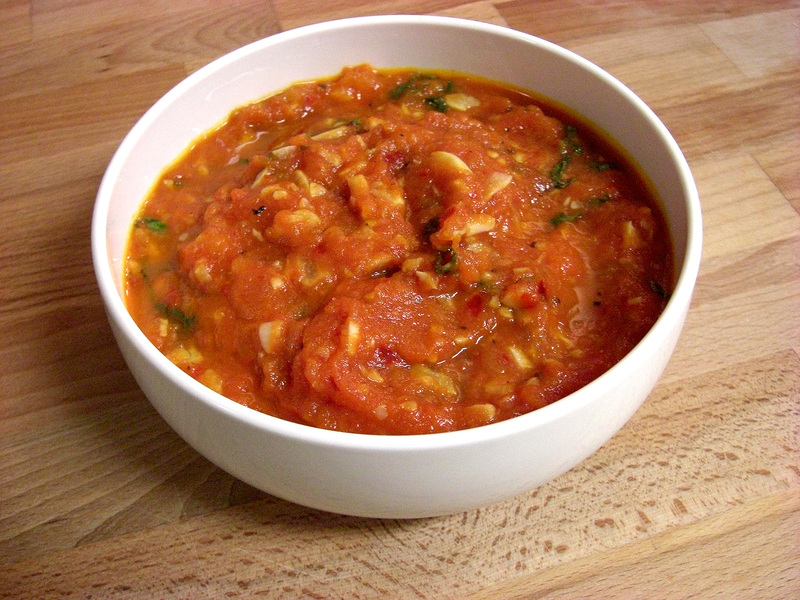 In January, making a sauce from fresh tomatoes is borderline culinary malpractice. For using canned tomatoes, try to use steamed varieties packed in lined cans; Muir Glen is the best brand I’ve found but your results may vary. 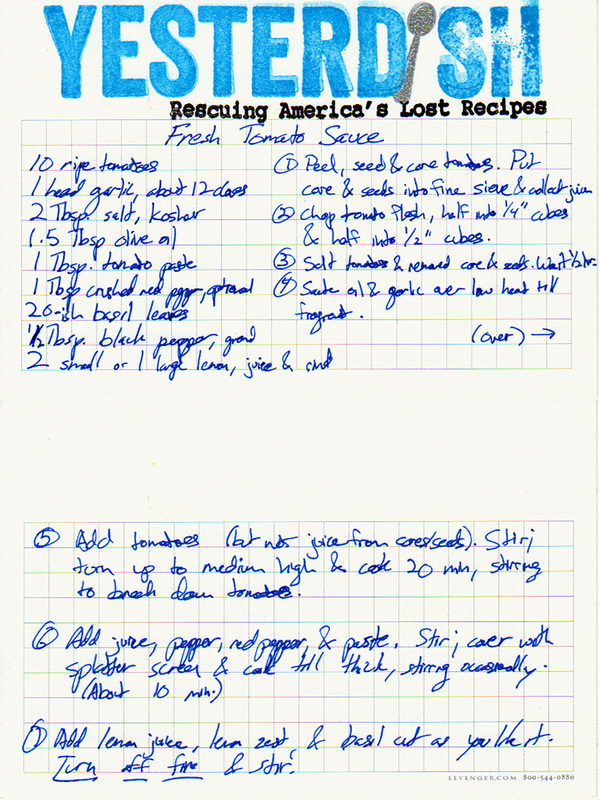 Moving back to our recipe, please understand that this is an intense sauce. If you don’t like garlic as much as I do, you could cut that in half, or even double the amount of tomatoes and adjust for salt. Let’s talk a bit about techniques. 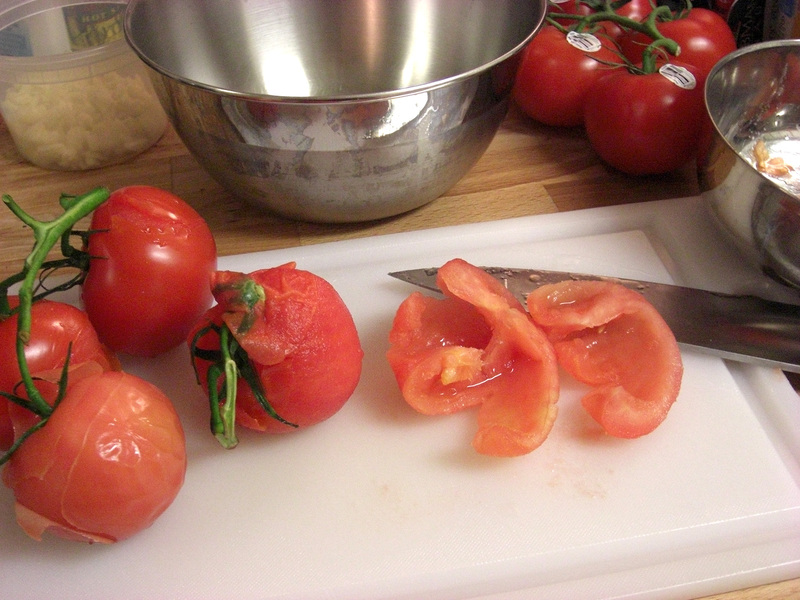 To peel the tomatoes, I scalded them–dropped them into boiling water, counted to about ten, and then dropped them into cold water. Technically ice water is what’s called for, but I’ve never had any problem peeling them with cool tap water. If I was scalding something I wanted raw, I’d use the ice, but these tomatoes are going to get cooked anyway. 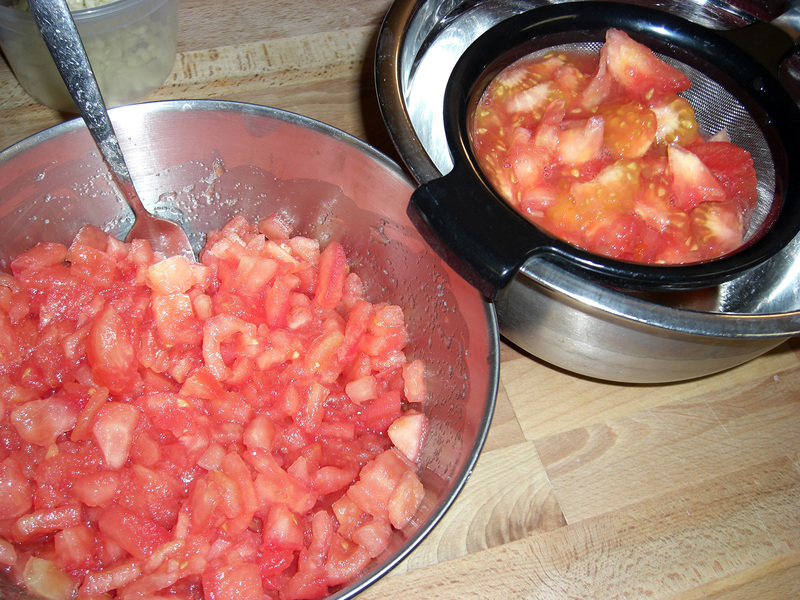 Once peeled, I cut out the cores and seeded the tomatoes, but I collected the cores and seeds into a bowl. I cut the tomatoes into two different sizes because I wanted a sauce with tomato pieces in it; the quarter-inch pieces will fall apart completely and the half-inch pieces will turn into quarter-inch pieces. If you’re a smooth sauce person like my sister, cut them all into quarter-inch pieces, or break out the stick blender. I won’t tell. The salting comes next, which is important. I take the salt for the recipe and divide it in half, them mix half into the tomato concassé (that there’s high-fallutin’ fancy French talk for peeled, seeded, diced tomatoes) and half into the cores and seeds. Then I pour the cores and seeds into a sieve and set it over a separate bowl. See the pictures below if you’re confused. A lot of people will throw the seeds and cores out without thinking about it, but so much of a ripe tomato’s sweetness is locked in the juice that I think it’s foolish to waste it. 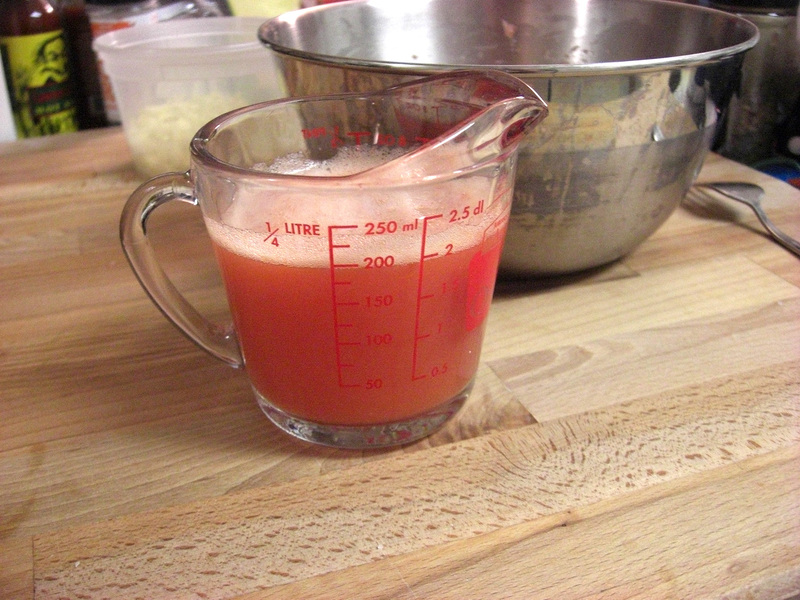 As you can see, I got about 200 milliliters of juice out of the seeds and cores–that’s about 4/5ths of a cup. 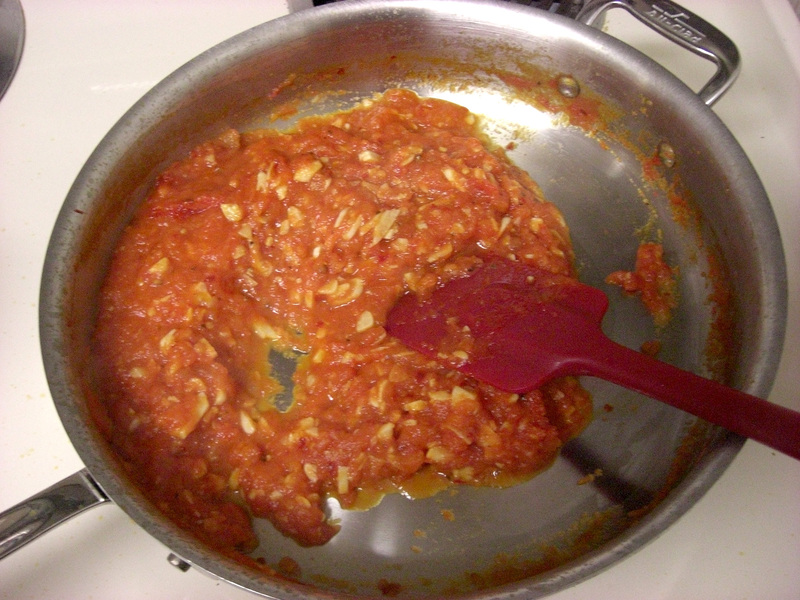 From there, the hard work has been done; it’s a saute of garlic and oil; then the salted, weeping tomato concassé for 20 minutes to break the pieces down into the start of a sauce; then the collected juice, black pepper, red pepper, and a tablespoon of paste (to add another layer of flavor) are added; and when the consistency is right, the basil, lemon zest, lemon juice, off the fire. I chiffonade the basil if I’m having the sauce with long pasta and I chop it for gnocchi and short pasta, but however you like to cut the basil is fine. 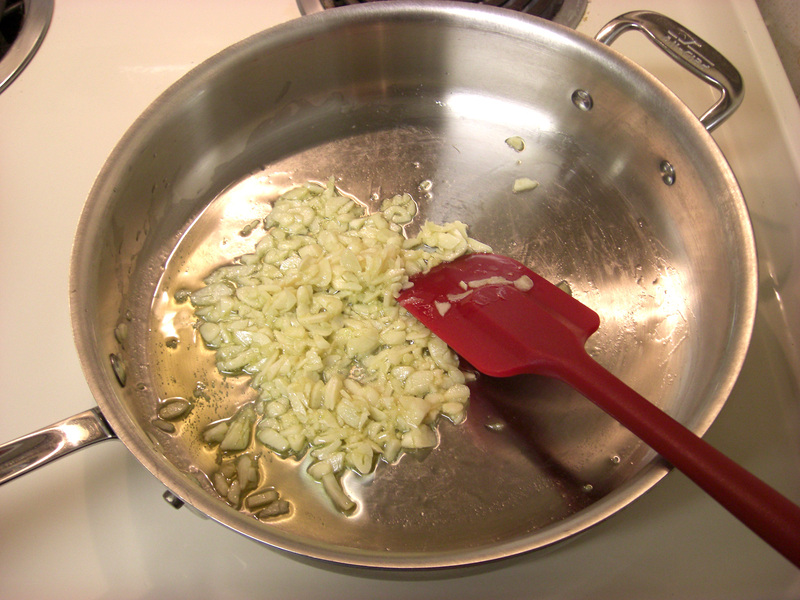 Don’t add the basil or lemon juice earlier; the oils and acid, respectively, will be damaged by too much heat. I’m reminded of something my friend Mark said recently about cheese sandwiches being harder to make than Beef Wellington. 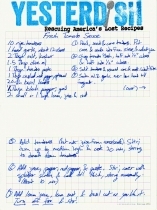 He’s right; when food is complicated, there’s an opportunity to hide mistakes. When you have good, fresh ingredients, your goal is to prepare them correctly, simply, directly. Nobody will notice if the beef in the Wellington isn’t cut cleanly, but twenty seconds too long on a cheese sandwich and you’ve missed the window. 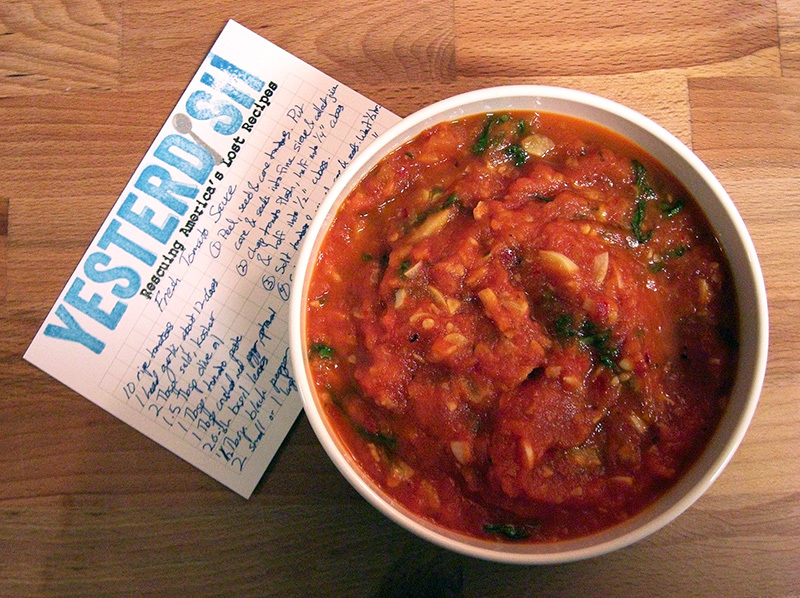 And so it is with fresh tomatoes, an ingredient you either know to prepare correctly or you don’t. And to paraphrase Biggie, if you didn’t know, now you know. 2 small or 1 large lemon, juice and seeds. Peel, seed and core tomatoes. Put core and seeds into fine sieve and collect juice. 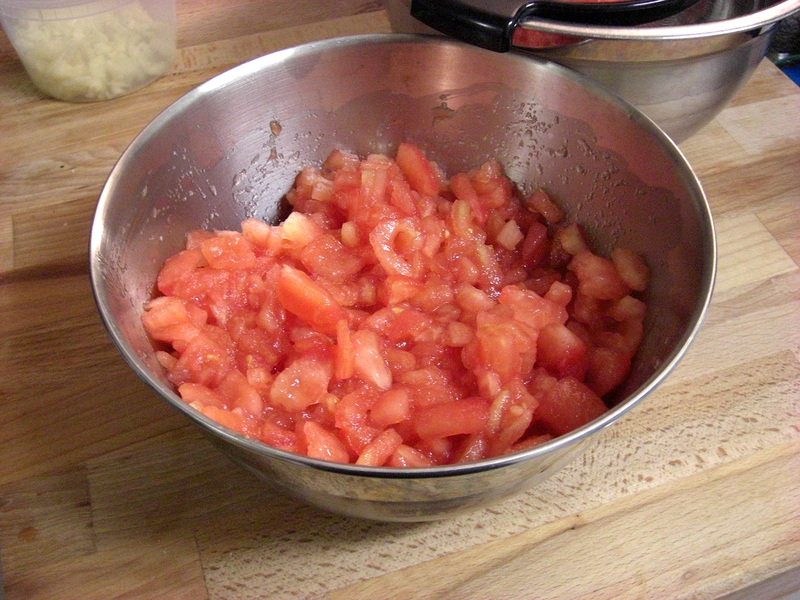 Chop tomato flesh, half into 1/4″ cubes and half into 1/2″ cubes. 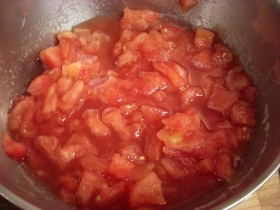 Salt tomatoes and removed core and seeds. Wait 1/2 hour. Saute oil and garlic over low heat till fragrant. 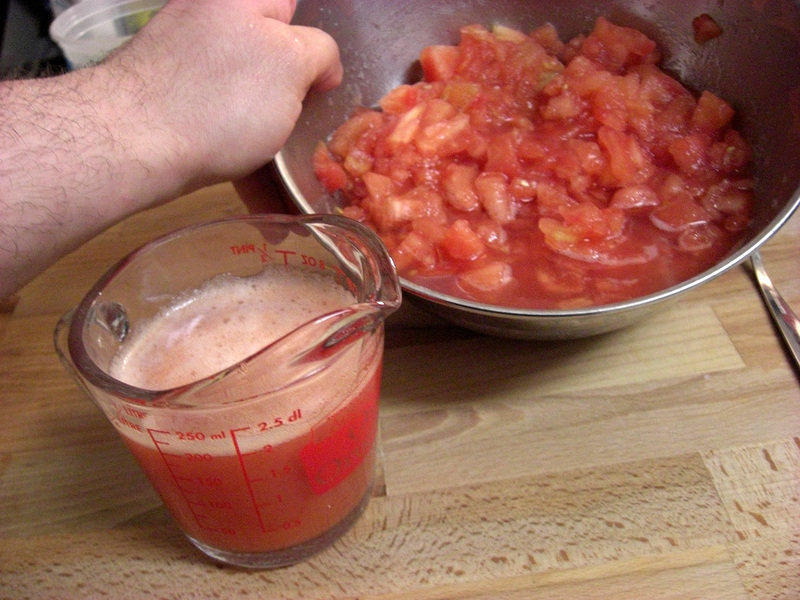 Add tomatoes (but not juice from core/seeds). 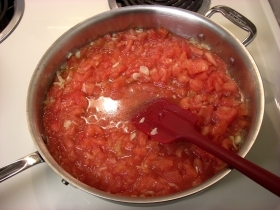 Stir; turn up to medium high and cook 20 minutes, stirring to break down tomatoes. Add lemon juice, lemon zest, and basil cut as you like it. Turn off fire and stir. Trust me, U.S. high schools are an abomination when it comes to civil rights. Just saying. 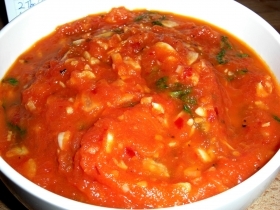 Well, you want to try that tomato sauce you just made, don’t you? I know I do.